Still drinking Cabernet after that one bottle you liked five years ago? It can be overwhelming if not intimidating to branch out from your go-to grape, but everyone wants their next wine to be new and exciting. How to choose the right one? Award-winning wine critic Alice Feiring presents an all-new way to look at the world of wine. While grape variety is important, a lot can be learned about wine by looking at the source: the ground in which it grows. A surprising amount of information about a wine’s flavor and composition can be gleaned from a region’s soil, and this guide makes it simple to find the wines you’ll love. 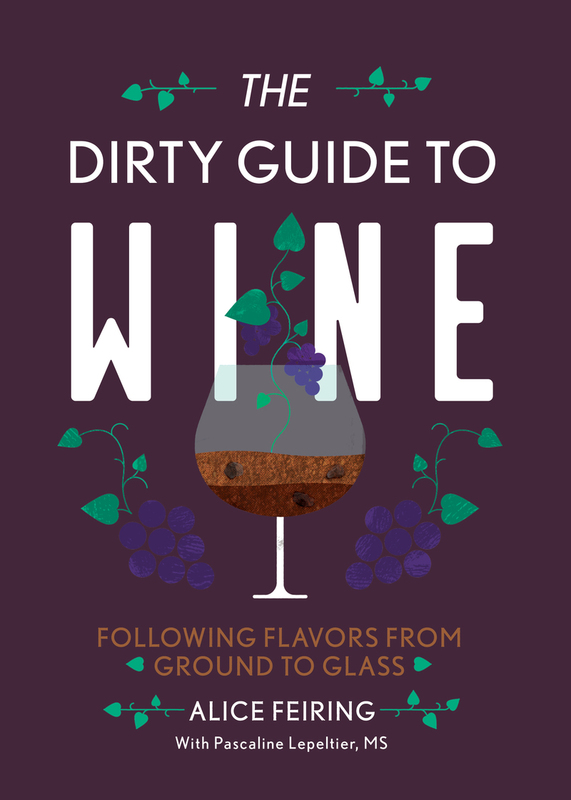 Featuring a foreword by Master Sommelier Pascaline Lepeltier, who contributed her vast knowledge throughout the book, The Dirty Guide to Wine organizes wines not by grape, not by region, not by New or Old World, but by soil. If you enjoy a Chardonnay from Burgundy, you might find the same winning qualities in a deep, red Rioja. Feiring also provides a clarifying account of the traditions and techniques of wine-tasting, demystifying the practice and introducing a whole new way to enjoy wine to sommeliers and novice drinkers alike. Alice Feiring is a journalist, essayist and the author of Naked Wine. She is the winner of both the James Beard and Louis Roederer Wine Writing Awards. In 2013, she was named Imbibe Magazine’s wine person of the year. Her blog, The Feiring Line (Alicefeiring.com) has been published since 2004. She lives in New York City. Master Sommelier Pascaline Lepeltier is one of the world’s top wine pros, on the floor or in the lecture room. From Anjou, France, she champions its Chenin Blanc. Beyond wine, she refreshes with Cantillon beer and beats the drum for the liqueur Chartreuse. It is her deep belief that the word terroir is not to be taken in vain.